The BMO200 Fountain celebrates 200 years of the Bank of Montreal. 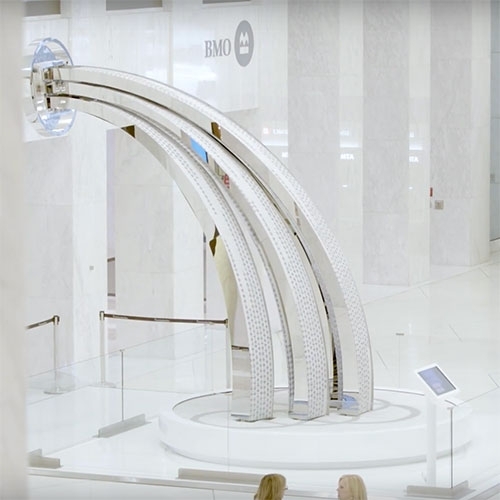 17’ tall, massive interactive kinetic sculpture of over 50,000 flip dots allows viewers to make a wish through their mobile devices and BMO will grant a variety of wishes. The making of the BMO200.